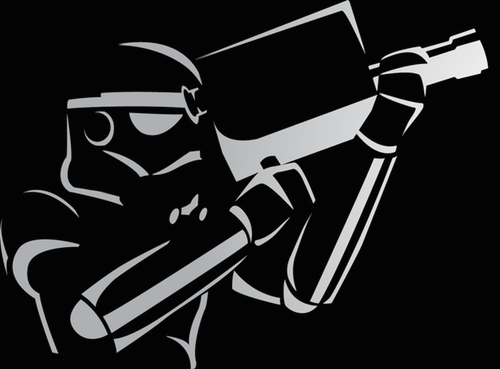 Are you a Star Wars fan and budding filmmaker? Then this announcement from The Force Awakens director JJ Abrams and Lucasfilm is for you. "Welcome to the Star Wars Fan Film Awards 2016, a celebration of fan creativity inspired by a galaxy far, far away! Create and submit your own Star Wars film for a chance to win a Star Wars Prize Pack consisting of Star Wars-themed merchandise, a limited edition print of Star Wars concept art autographed by the artist, and a commemorative trophy." 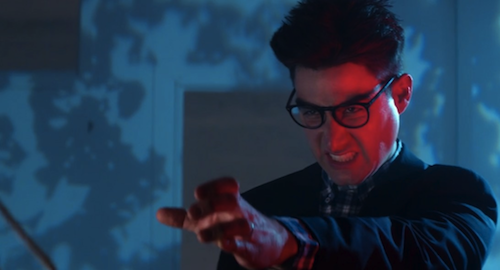 Troops is my favourite fan film and one of the earliest memories of viewing content online. 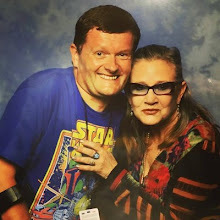 Winners will be announced at Star Wars Celebration Europe in July and I'll be there for the 3-day event at London's ExCeL Centre. So, will you be entering? Let me know in the comments below. Now, if you'll excuse me, I have a Sphero BB-8 spin-off to script, storyboard and shoot on an iPhone. The competition closes 24th April. The ZX Spectrum Vega+ portable games console has been successfully crowdfunded on Indiegogo within 48 hours. This underscores an insatiable appetite for retro gaming and enduring fondness for the original Sinclair ZX Spectrum, which ignited a lifelong computing passion for a generation (myself included). Although I, and many others, ultimately moved away from Atari consoles, it was still all about gaming in the 1980s and there's 1000 games built-in to the new device including 8-bit gem "Skool Daze". The ZX Spectrum spawned the Sabreman series, which is included on Rare Replay for Xbox One. The new handheld console has been designed by Rick Dickinson, a leading industrial designer, who oversaw the ZX80, ZX81 and ZX Spectrum. 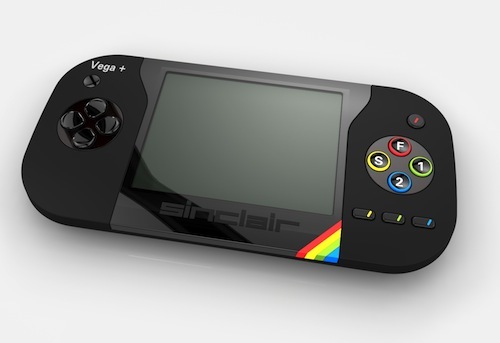 I'm looking forward to reviewing the ZX Spectrum Vega+ later in the year. What are your memories of the Sinclair ZX Spectrum? Let me know in the comments below. Earlier this week Disney announced cameras had begun rolling on Rian Johnson's sequel to JJ Abrams' monolithic blockbuster The Force Awakens. Star Wars: Episode VIII. 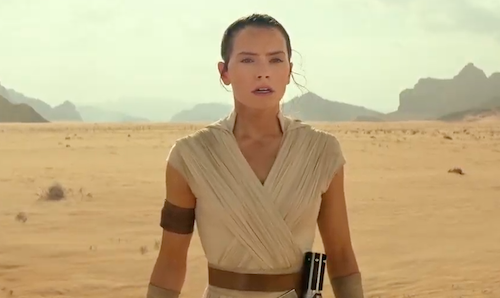 Benicio Del Toro, Laura Dern and newcomer Kelly Marie Tran join returning cast members Daisy Ridley, Mark Hamill, John Boyega, Adam Driver and Oscar Isaac in the next chapter of the new Star Wars trilogy. Now it's the turn of Guardians of the Galaxy Vol. 2 with a cool teaser image. 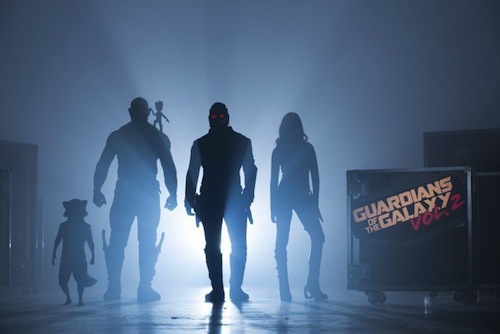 James Gunn's Guardians of the Galaxy is one of my favourite Marvel Cinematic Universe (MCU) installments and, like Ant-Man, benefitted from being a mostly standalone adventure, unburdened by heavy continuity unlike the average Avengers: Age of Ultron. 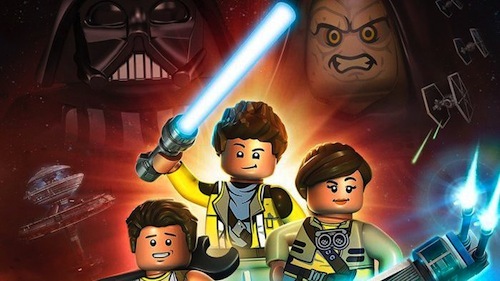 Star Wars Rebels will be joined by LEGO Star Wars: The Freemaker Adventures this summer on Disney XD. Unlike Star Wars Rebels. The new animated series is set between The Empire Strikes Back and Return of the Jedi. 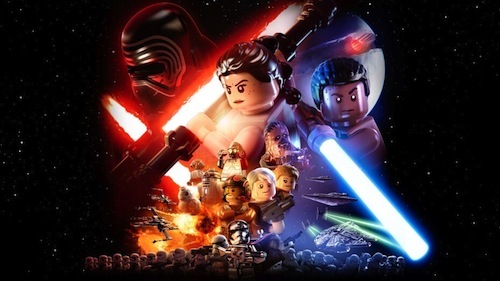 "Told in the whimsically-charged style that audiences have come to expect from LEGO Star Wars entertainment, the series stars the Freemakers, a family of scavengers who build and sell starships from the scoured debris of space battles strewn throughout the galaxy." Whilst another animated series is a fun addition, I'd like to see a live-action spin-off too. Perhaps in the vein of Marvel's Daredevil and Jessica Jones on Netflix. Aside from The Freemaker Adventures announcement. Filming of Gareth Edwards' Rogue One: A Star Wars Story is all but complete according to Disney CEO Bob Iger and Star Wars: Episode VIII began principal photography in London this week. Rian Johnson's sequel to The Force Awakens will be released in December 2017. Finally some good news for Star Trek fans. 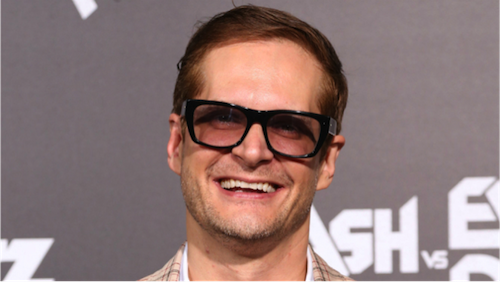 Bryan Fuller is on board for the new TV series on CBS. The end of 2015 and the beginning of 2016 hasn’t been the best start for Star Trek. In comparison that other Star franchise, Star Wars is riding high on the back of the success of The Force Awakens. The $2 billion box office takings vault has recently been opened for JJ Abrams' vision of a galaxy far, far away and fans are heaping praises on how well the franchise is being managed and the direction it’s taken. Star Trek fans, this one included, turned to a fan movie for a proper Star Trek fix, Star Trek Axanar. The production values are high with gorgeous looking sets, impressive special effects and an all-star line up from the world of Star Trek including Gary Graham as a Vulcan ambassador, Richard Hatch as the sweet-eyed Klingon General Kharn and Kate Vernon as Starfleet Captain Sonya Alexander. Prelude to Axanar had already been released with the likes of Tony Todd, a wonderful actor who I remember from one of the best Star Trek Deep Space Nine episodes, The Visitor. But at the end of 2015 it was revealed that CBS and Paramount had filed a lawsuit against Axanar Productions to halt production on the new fan movie. Although they are fighting the lawsuit it seems that the suits behind Star Trek have forgotten how Star Trek has got to where it is today. Star Trek stands on the shoulders of its passionate fans. The last thing you want to do is turn those fans against you but that seems to be exactly what’s happening. Something had to be done. It’s a promising sign and the equivalent of an injection of Ketracel-white that we have someone with Star Trek experience on board for the new show. Fuller has also proven he’s not lost his touch when it comes to quality, bringing the popular Hannibal and Pushing Daisies to TV, both of which ooze quality. He’s also working on American Gods which has a lot of Neil Gaiman fans waiting with baited breath. What can we expect from Fuller? Well a few years ago he teased us in an interview about some ideas he had for a new Star Trek TV series. He teased us with the idea of how The Next Generation crew would evolve from JJ Abrams' alternate universe vision we see in the new movies and even leaving the Enterprise behind all together and have a new ship called The Reliant. No, it won’t have three wheels. Whatever his vision ultimately turns out to be, right now I feel a little more optimistic for the future of Star Trek. I hope Fuller, along with the studios, remember what Star Trek fans actually want and maybe they can take a leaf out of Chris Carter’s book. The X-Files recently returned for a tenth season and Chris Carter, the creator realised that fans were the driving force for the return, so gave them exactly what they wanted, more of the same. He along with the cast and crew visited comic-cons around the world and listened to the fans and what they wanted to see from the return of Mulder and Scully. So far the season has done exactly that. It’s not dumbed down. It has the original cast and wonderful scripts. It’s like we’re watching the classic seasons of The X-Files all over again. Let us hope the new Star Trek doesn’t get dumbed down and producers don’t feel the need to make all the cast 20 years old or younger which seems to be happening more frequently in TV and movies. Keep the technobabble, that’s Star Trek and keep the science too. Less action and more story. Less love triangles and more interesting characters. Don’t just make the main cast three dimensional. Make ALL the characters interesting like Deep Space Nine did. Am I asking for too much? No. All they need to do is go back and actually watch some Star Trek to get the idea of what we want. Listen to the fans, embrace them and their creativity. That way Star Trek will live long and most definitely prosper and that’s good for the fans, studios and producers. I think Bryan Fuller is well on the way to achieving that. Make it so Bryan. After a 14-year break, ignoring the underwhelming second movie in 2008, The X-Files returned to UK television screens last night. The series premiere gave Channel 5 its highest rated US drama launch since 2009. An average of 3.5 million viewers tuned in and this doesn't take into account streaming and recording of the episode. The X-Files will very likely become one of Channel 5's most viewed shows in 2016. 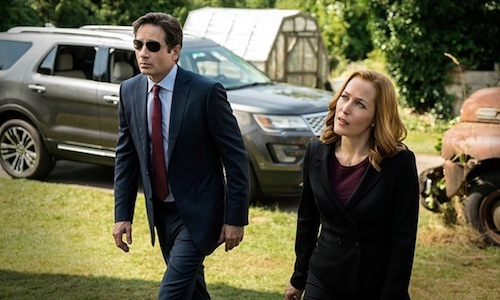 As a huge fan of The X-Files in the early to mid 1990s, voraciously consuming books, comics and more before transmedia storytelling became de rigeur, I was excited to see FBI agents Fox Mulder (David Duchovny) and Dana Scully (Gillian Anderson) back. 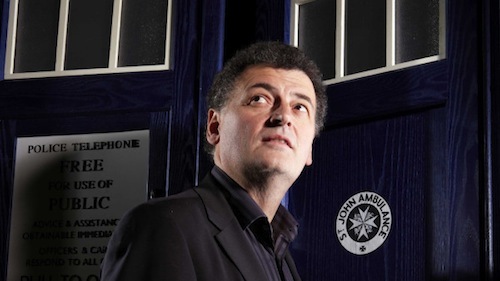 Doctor Who, Star Trek and Star Wars have all been successfully rebooted in recent years. So, why not The X-Files too? The series premiere has left fans deeply divided. So, I'll pass you over to fellow X-Phile Andrew Lewin who investigates the premiere "My Struggle". By all accounts the mini-series improves dramatically. Is the truth still out there? Let me know in the comments below. There's two film franchise installments I'm really looking forward to this year. 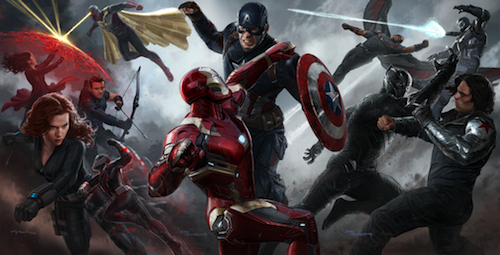 Rogue One: A Star Wars Story and Captain America: Civil War both from Disney. The former didn't get a TV Spot during the Super Bowl, but the latter did and Marvel knocked it out of the park asking audiences to choose a side: #TeamCap or #TeamIronMan. The Captain America installments in the Marvel Cinematic Universe (MCU) are always a delight. The Winter Soldier is my favourite MCU movie and there's no reason not to expect directors Joe and Anthony Russo to up the ante further in Civil War when it's released 29th April in the UK. It wasn't all about divided loyalties from Marvel at the Super Bowl. An hilarious tie-in with Coca-Cola pitched Ant-Man against the Hulk. Next time you're reading or watching the MCU reach for a Coke. Steven Moffat, who is stepping down as Doctor Who showrunner, has confirmed there'll be an extra episode of the hit time travel series before he bows out at the end of series 10. 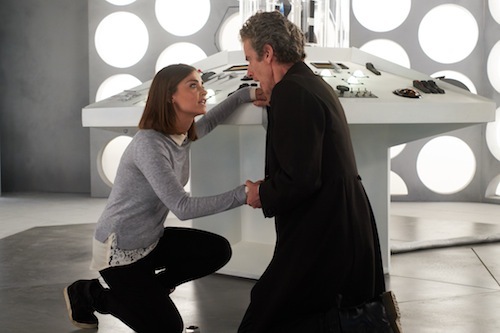 Controversially, there'll only be a Christmas special unless the extra episode is an additional one-off in 2016. This is speculation and the episode may indeed be a Christmas special for 2017. However, a new Doctor Who spin-off, Class, begins very soon on BBC 3. Stephen Moffat's final series as showrunner airs in spring 2017 and there are rumours Peter Capaldi will be leaving after three series in the titular role. Jenna Coleman's replacement has not be cast. Broadchurch creator Chris Chibnall will take the helm with series 11 in 2018. Chibnall has written six episodes of Doctor Who, as well as many episodes of Torchwood, where he was co-producer. 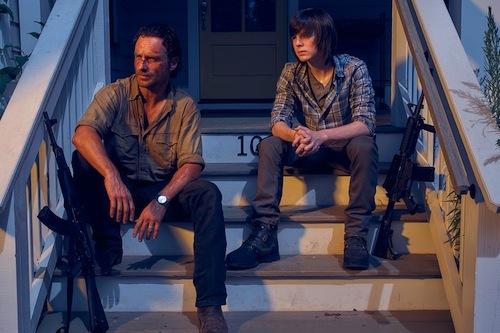 What do you think the extra episode will be? Let me know in the comments below. 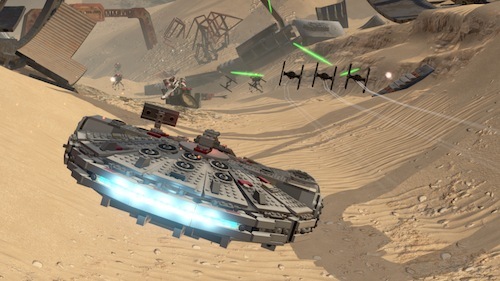 LEGO and Star Wars are a match made in geek heaven and a LEGO video game based on The Force Awakens is the kind of tie-in I can get behind. The latest installment in the Star Wars saga to receive the TT Games treatment is confirmed on the Xbox Store website and bound for every gaming platform. Ever. Well, that's not strictly true. Watch the awesome announcement trailer. I'm in from day-one and there's exclusive content for PlayStation comprising the Droid Character Pack and Phantom Limb Level Pack! Incidentally, EA has discounted Star Wars Battlefront on the PlayStation and Xbox stores for a limited time. Took the plunge and picked up the Ultimate Edition for PS4. Feel free to add me on PSN: Marvel_Megatron and mention this blog. Fans of Captain Phasma rejoice. Game of Thrones actor Gwendoline Christie confirmed she'll be back to plague the Resistance in director Rian Johnson's sequel to The Force Awakens, which begins principal photography in London this month. "I will be in the next Star Wars movie," Christie told People at the Screen Actors Guild Awards. "I was very over excited. I made no secret of the fact that I really campaigned for the part for a long time," she added. "And then I was delighted when JJ Abrams wanted to have me in the film and then wanted to cast me in this role that had originally been designed for a man." 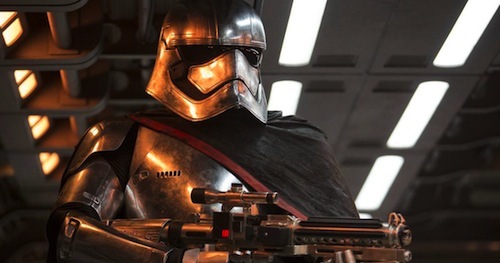 Incidentally, the character of Captain Phasma began life as a discarded design for Kylo Ren after it caught the attention of director JJ Abrams. 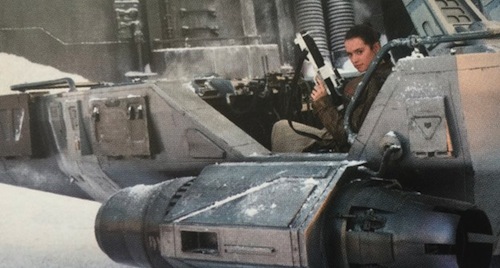 Hopefully, Star Wars' silver nemesis will get more screen time after escaping the trash compactor on Starkiller Base. The marketing suggested a female Boba Fett for a new generation of Star Wars fans. What we got was something akin to a cameo overshadowed by fan favourite TR-8R, the Stormtrooper who challenged a lightsaber-wielding Finn.